Kids love crafts that are interactive and provide value beyond the initial craft. 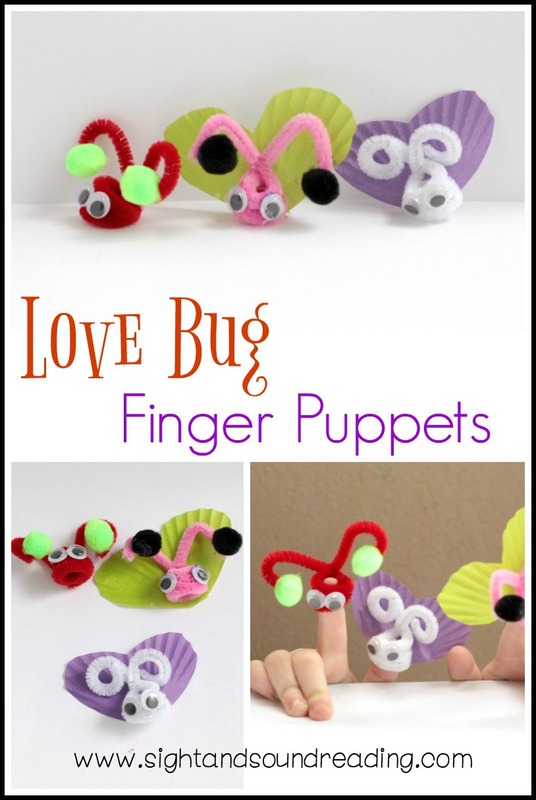 These love bug finger puppets do just that! You’ll love that the puppets are easy to make, require few supplies, and don’t take a lot of time to craft. 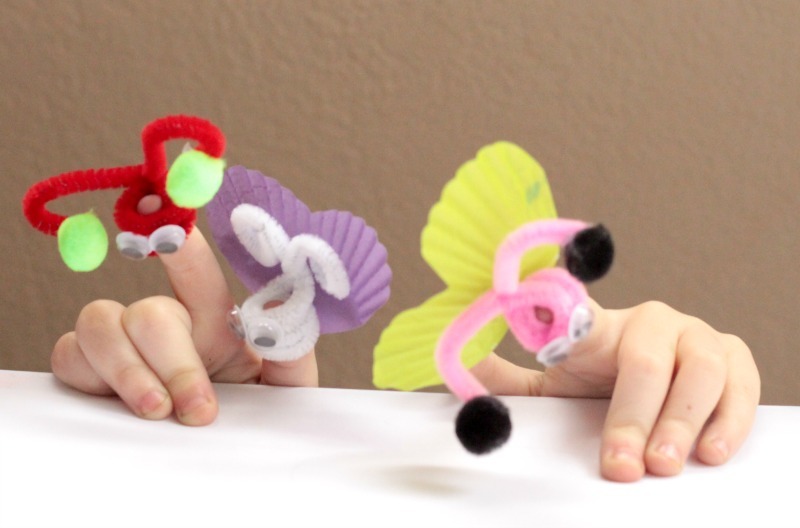 Even young kids will be able to construct their puppets almost entirely on their own! If you can find it, use tacky, quick-drying glue for this project. Kids will want to play with their puppets right away, and they may find it frustrating to wait for the glue to dry. Tacky glue will help speed the drying process and make it easier to get to the playtime phase faster. Before we being making our love-bugs, here are a few great valentine day books to read with your love bug! Ahead of time, cut out a heart shape for each child’s bug. The heart will become the wings for the bug. The chenille stem is both the antenna and the body. Making the love bug is simple. Starting from the middle of the chenille stem, twist the two ends around the child’s finger. When you have about one inch of stem left on each side, twist the two ends around each other to secure. Bend the leftover ends over to look like antenna. 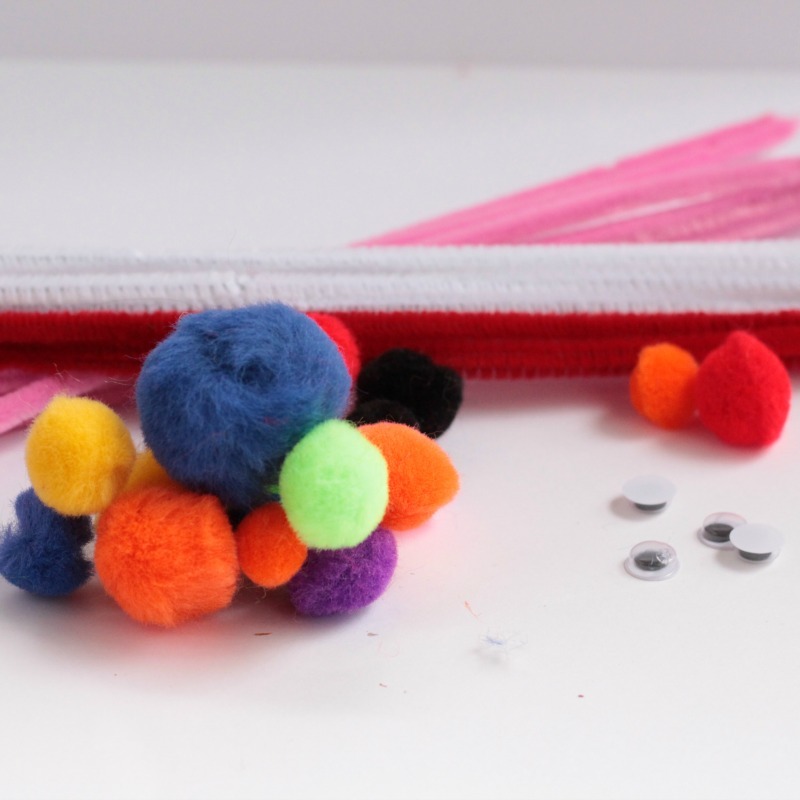 Glue two pom poms to each antenna end. Glue two googly eyes to the front of the bug’s face. Glue the heart shape to the back of the bug. Pop the love bug off the child’s finger and set it aside to dry. When the glue is dry, each child can place the bug back on their finger and play with the bugs. They can even put on a finger puppet show! 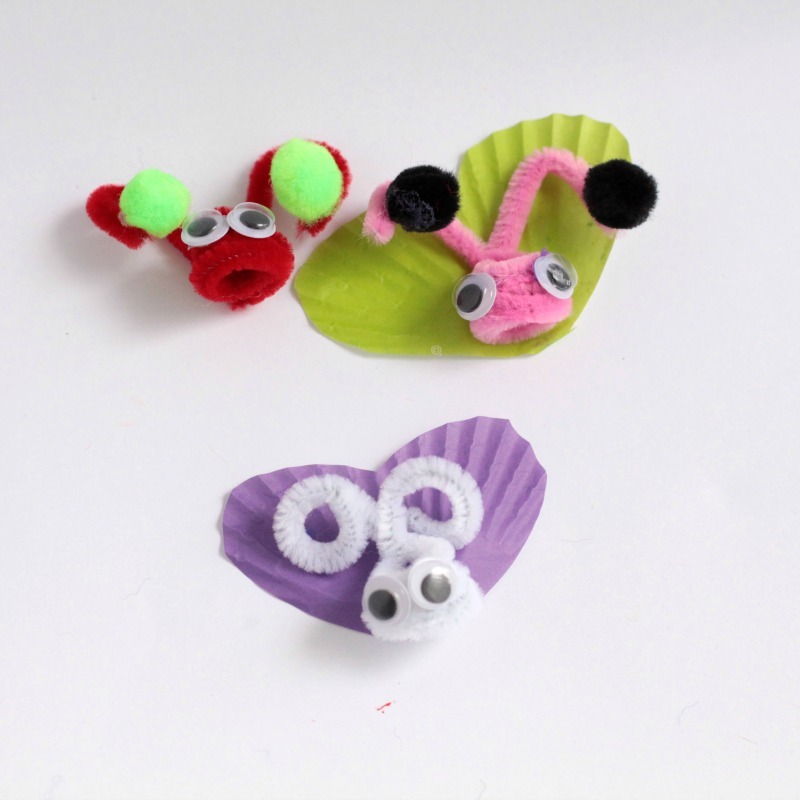 Little ones will really enjoy making these simple love bugs and they might want to make a whole handful!